Lush greenery, sand and sea. 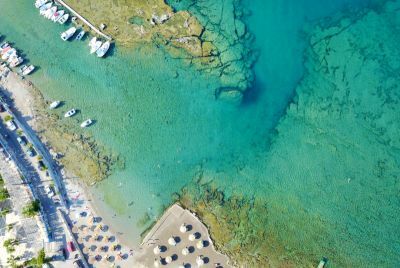 The harmony of green and blue is only interrupted by the lazy motion of the red and yellow pedalos on the water. So why not just hire a sun bed and watch the canoes and pedalos go by. 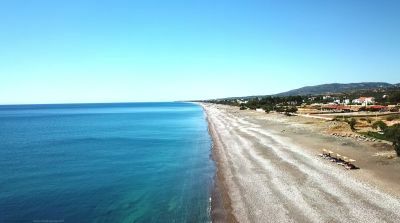 You will find Glystra beach just after Lardos, on your left hand. The waters here are shallow, so it is also suitable for younger children and kids. Sandwiches and water are available at the little restaurant. On the weekends it get's a bit more bussy as the locals also prefer this beach. Very peaceful beach where the water is very shalow, so young children can enjoy playing and walking in it. Good sunbeds, quiet atmosphere, small but nice canteen, lots of seashells. Worth to stop by! Glystra is a beautiful little beach with fine sand, popular with those who want their umbrella, and some peace - mainly foreigners. Shop for sandwiches and water at the little restaurant, hire a sun bed and watch the canoes and pedalos go by. 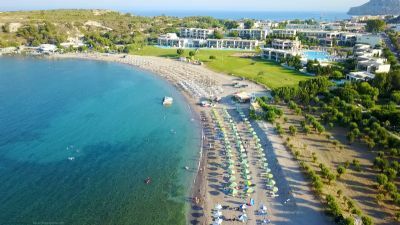 GLYSTRA BEACH IS ONE OF THE MOST POPULAR BEACHES IN RHODES.I GO THERE TWICE A YEAR AND I ENJOY THE FOOD IN THE CANTEEN. THE PEOPLE THERE ARE VERY FRIENDLY AND THEY SPEAK ENGLISH, ITALIAN, GERMAN AND OTHER LANGUAGES. Me and my family always look for a real quiet family atmosphere sandy beach on the first day. a message for the canteen-man: I enjoy your sense of humour! 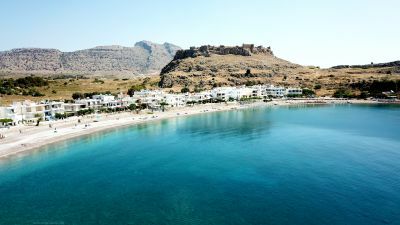 This is one of the quietest beaches on the island, reched by traveliing just out of lindos away from Rhodes. 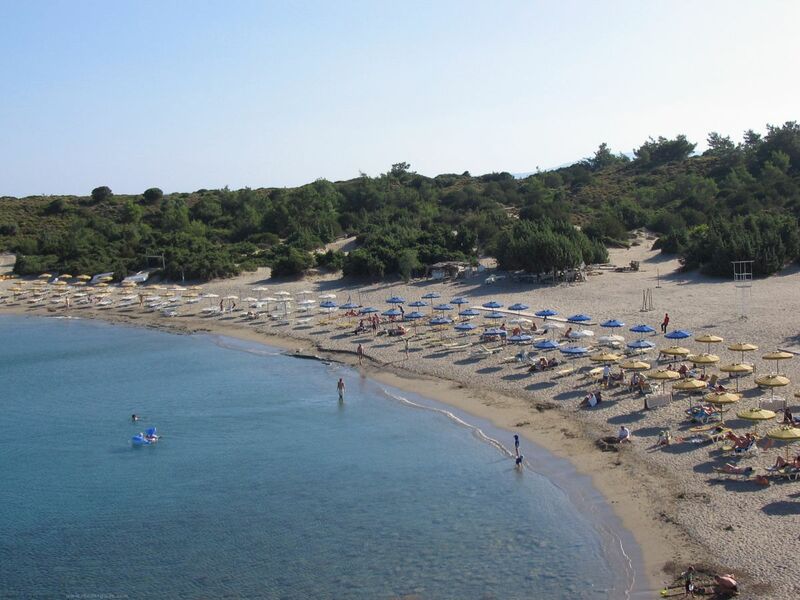 Apart from Kalithea, this is probably one of the best places for people (young children too) to snorkel since it is very shallow and sandy, and you can find lots of shells. Theres also the remains of a car in the middle of the bay under the water which is well worth a look at!